Our Kickstarter is live! Retro games on your TV! And you can write your own games too! Sorry for the exclamation points. I’m addicted to them since Elaine had that outburst on Seinfeld. Anyhooters, we’ve launched our Kickstarter, here. Here’s a brief explanation why we’re doing it. Simmone and Andrew are both passionate makers and teachers. Simmone is the coordinator at Hands on Brisbane and also teaches many of the workshops helping people learn new skills. Andrew is a long term electronic tinkerer that creates things like The Asteroid Belt and games for the Uzebox like Tornado 2000. He regularly teaches people how to make electronic things. More to the point, over the years he has taught scores of people how to write computer games. That is where the Uzebox DTV comes in. The Uzebox itself is an awesome platform for learning to write games on, however many people are intimidated by having to build it themselves. The Uzebox DTV is pre-built, so you can use it immediately, without having to know how to solder. It will help build the Uzebox community, and hopefully can help get YOU involved in writing games, and sharing them with your friends. This entry was posted in Craft, Treasures, Your Organ Grinder and tagged gamer, gaming, retro games, uzebox, vintage game, write games on September 30, 2016 by yourorgangrinder. I’ve been wanting to start a blog series about my most treasured possessions, so here it is, post one in the series. My treasures fill my space. Some are books, some things, some significant because of where they came from and what they mean. 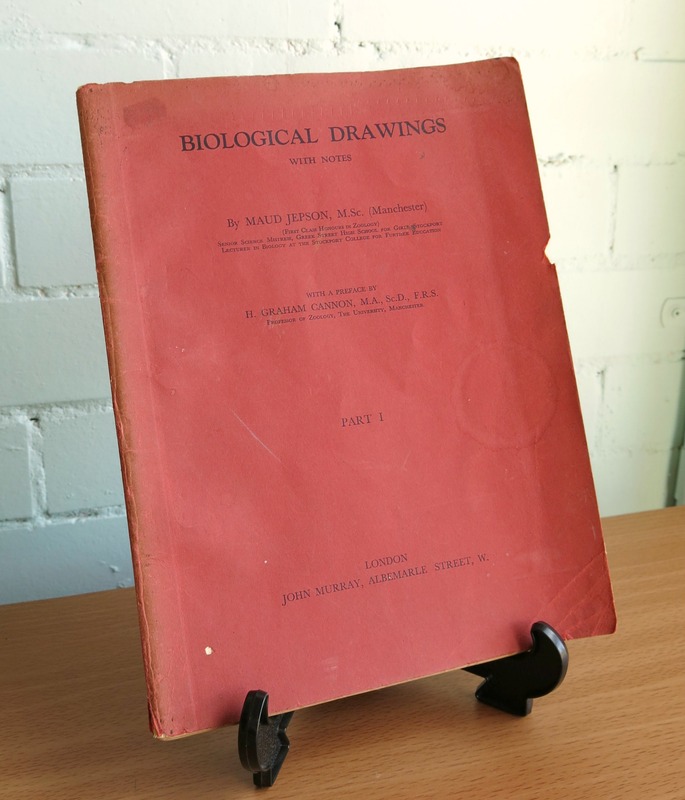 I’ve had this book-Biological Drawings- for about 20 years. The copy I have was published in 1957. It is in fairly good condition considering it is a soft cardboard cover and has been kept in my room that tends to be filled with bugs who eat books, in fact it looks rather untouched by bugs. Perhaps it was covered in some sort of bug repellent many years ago. 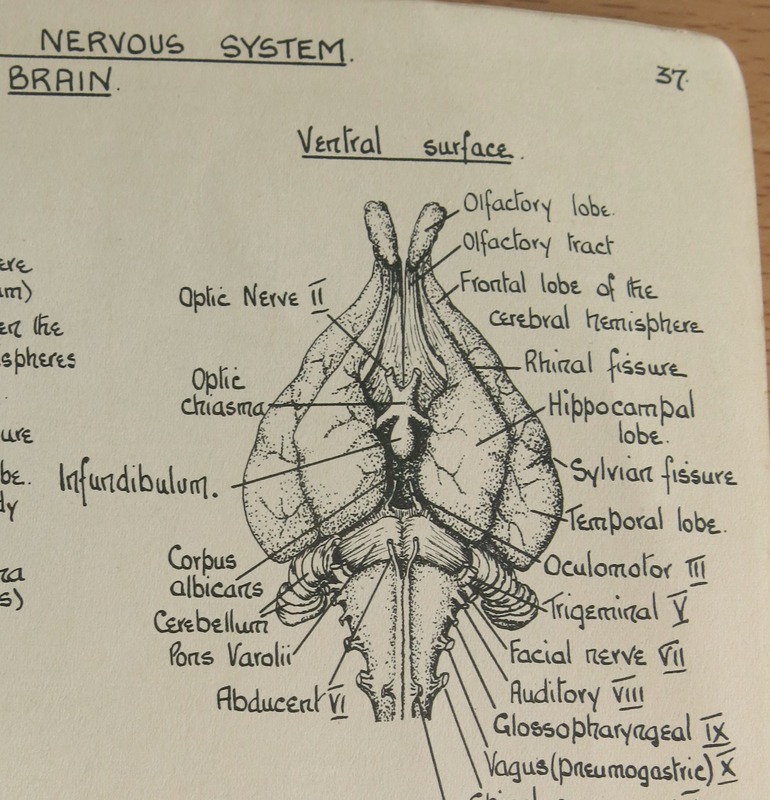 Biological Drawings is one of my most favourite things. 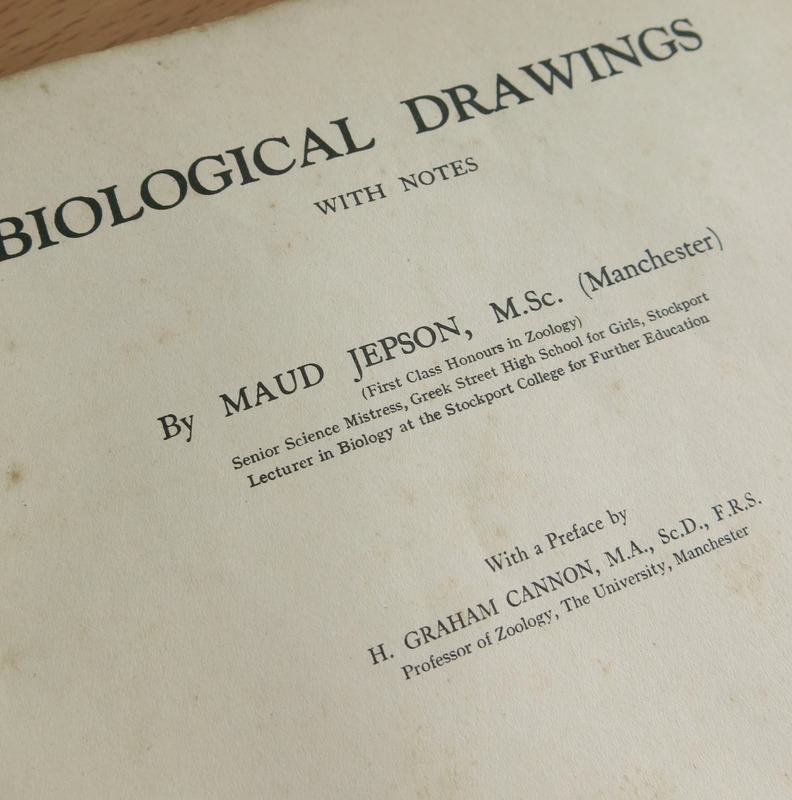 Not only is it an old book but it is about anatomy of both plants and animals and was written by a woman. 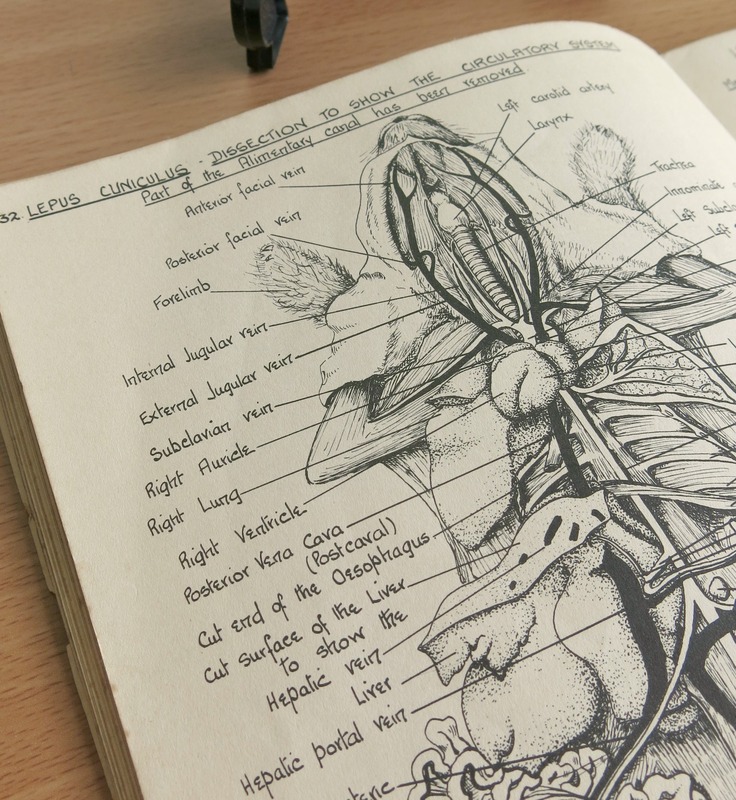 I loved looking at the dissected rabbit when I was younger. Recently I’ve most enjoyed the insects and the plants. 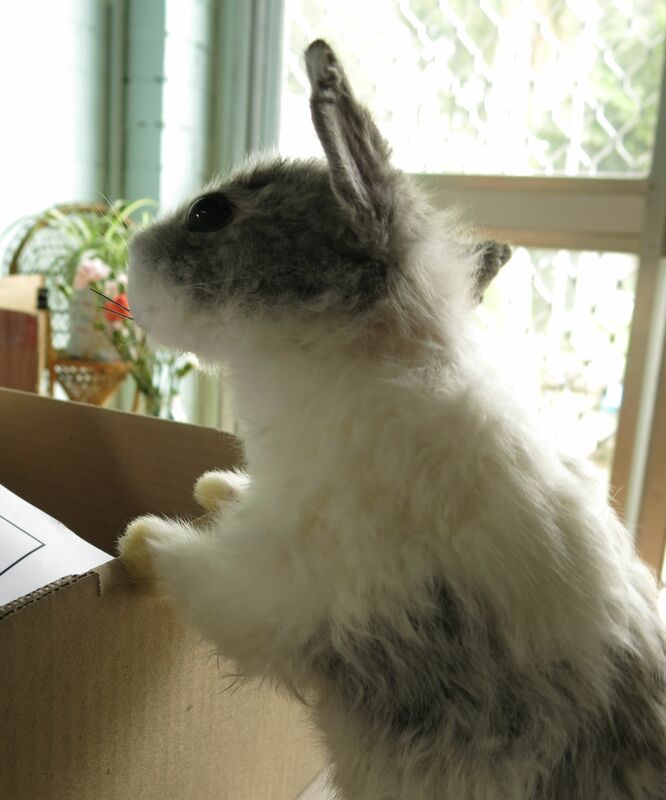 I love the little rabbit hands up near its head, all trapped by the removing of the skin. 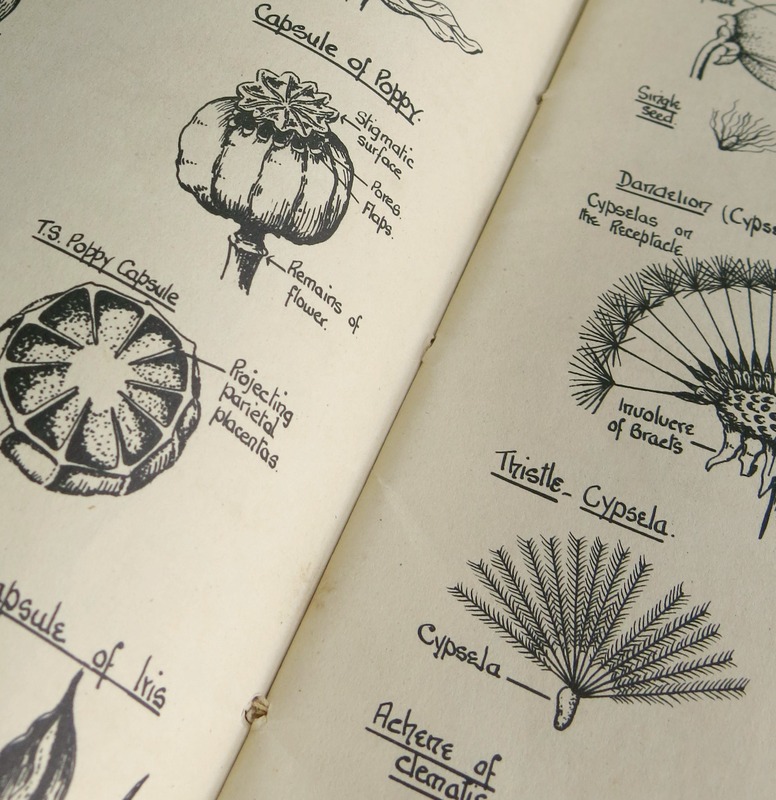 Below, some of the plant drawings. 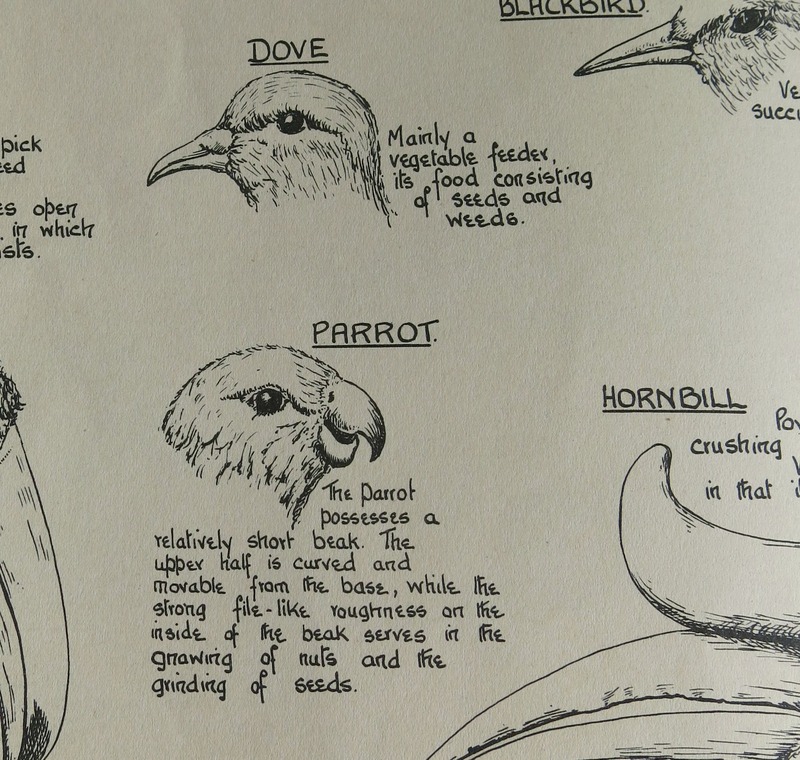 I was reading these bird beak descriptions to my cockatiel last night. 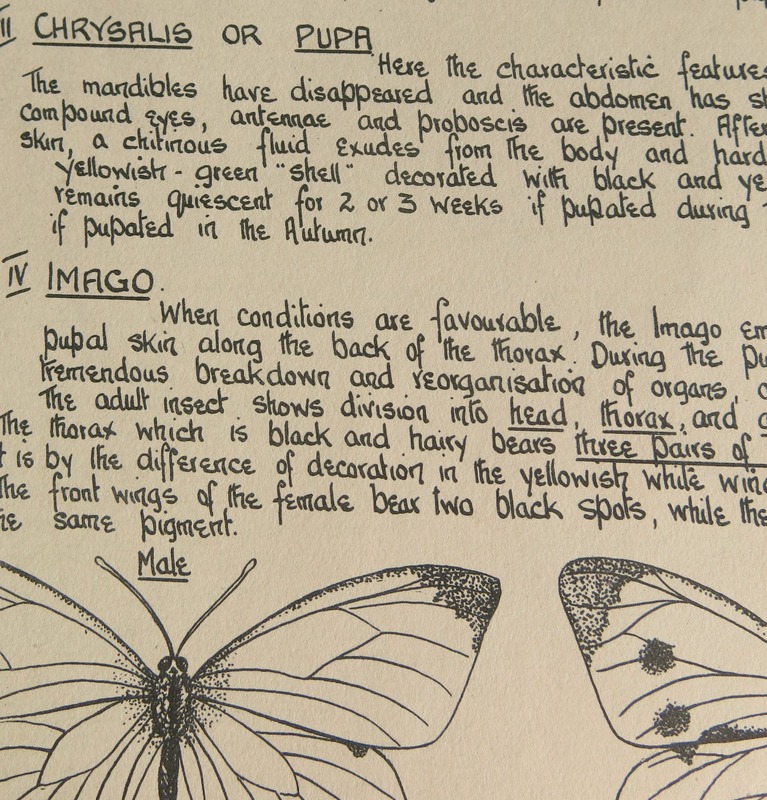 The only typewritten text is that on the cover, the inside cover and the index. The rest is handwritten. Another reason why I love it. 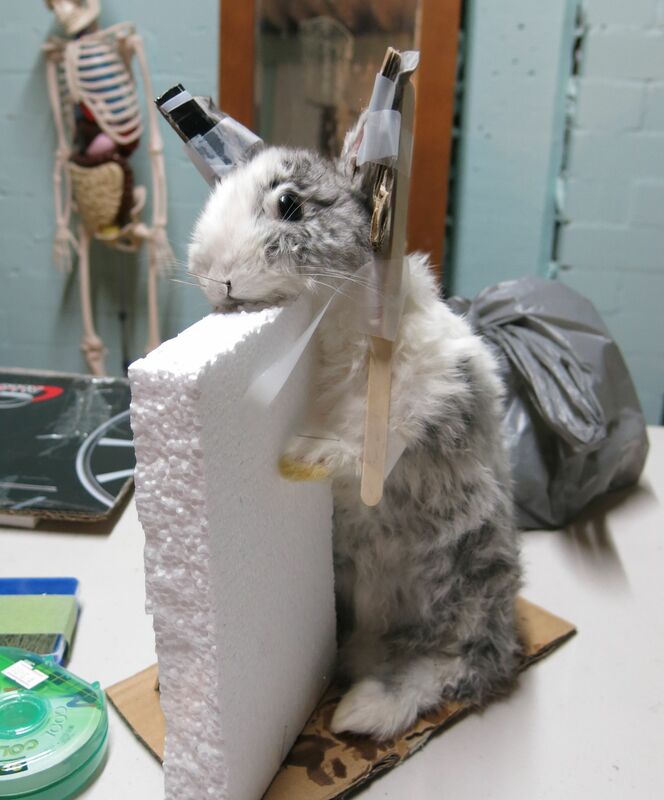 I cannot leave out this Rabbit brain! This entry was posted in Animals, Dead Animals, Treasures and tagged anatomy, animals, book, dissection, plants, rabbit, science, vintage, zoology on May 6, 2014 by yourorgangrinder.